Trax’s unique computer vision platform allows CPG brands and retailers to increase store auditing accuracy and boost sales by 3-5%. 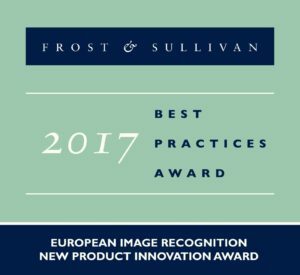 Singapore, Oct. 19, 2017 – Based on its recent analysis of the image recognition industry in Europe, Frost & Sullivan chooses Trax as winner of the 2017 New Product Innovation Award. The computer vision company was chosen for its robust product portfolio, expanded to meet the diverse needs of consumer packaged goods (CPG) companies and grocery retail segments. In the competitive world of retail, CPG brands and retailers struggle to address the $800 billion lost each year due to preventable shelf execution issues in store. Companies are turning to image recognition technology to better understand how their products look, perform and compete on the shelf; they achieve this by using images taken inside stores by sales representatives or retail audit companies. The analytics processed from these shelf images can reduce audit times in stores by as much as 60% and achieve auditing accuracy of approximately 20% over manual auditing. Trax Retail Execution: Designed to help consumer goods companies CPGs to receive an accurate, consistent and real-time view of their shelf and field performance across all retail channels. Trax Retail Watch: Provides retailers with a single source of shelf analytics that delivers unprecedented visibility on their store aisles. This solution leverages real-time store monitoring and intelligence through IOT devices to drive operational efficiencies, improve customer experience and increase store sales. Shelf Pulse by Trax and Nielsen: is a syndicated market measurement service that offers ongoing digitized measurements of brand performance on-shelf within a category, with insights on in-store shelving conditions, shelf compliance and visual proof for store activation. Trax Retail Compass: is a data science solution that delivers prescriptive research to unlock growth levers for consumer goods companies and retailers by interpreting shelf conditions to sales data. Trax designs its image recognition solutions to recognize and distinguish between similar looking products, even those with obscure or reflective packaging. Solution functionalities also include the automatic recognition of any product at a brand, sub-brand, and stock keeping unit (SKU) level. The ability to identify empty shelf spaces, products in poor lighting conditions, and partially obstructed products helps retailers reduce loss of sales. Each year, Frost & Sullivan presents this award to the company that has developed an innovative element in a product by leverage leading-edge technologies. The award recognizes the value-added features and benefits of the product and the increased ROI it gives customers, which in turn raises customer acquisition and overall market penetration potential. Trax is the world leader in computer vision solutions for retail. The company enables tighter execution controls in-store and the ability to leverage competitive insights through their in-store execution tools, market measurement services and data science to unlock revenue opportunities at all points of sale. Trax does this using smartphones and tablets to gain actionable shelf analytics in real-time. With over 175 clients, in over 50 countries, top brands such as Coca-Cola, AB InBev, Nestle, Henkel, PepsiCo and many more, leverage Trax globally to manage their in-store execution and increase revenues at the shelf. Trax is headquartered in Singapore with offices worldwide. To learn more about Trax, please visit www.traxretail.com.